Emmerling gets his first taste of the state tournament after a very strong freshman season highlighted by a first-place finish at the Hoppel Invitational. He also placed at both the EOWL and OVAC tournaments. Emmerling, who finished fourth at last week’s Heath district tournament will get going with a first round matchup against top-seeded freshman Branton Dawes (39-2) from Washington Court House Washington. Two of the top contenders are Cael Woods from West Holmes and Jacob Decatur from Cuyahoga Valley Christian Academy. Decatur is on the other side of the bracket, while Emmerling would avoid Woods until at least the semifinals should he advance. Ours continued a stellar freshman season by capturing the Heath district title last weekend. He was ranked second by borofanohio.net and enters as one of the main contenders in a very tough 120-pound bracket. Ours, who also has an OVAC championship and a Cambridge tournament title to his credit, will open against fourth-seeded Anthony Trivisono (26-9) from Mentor Lake Catholic. A potential matchup with Louisville’s Garett Lautzenheiser (ranked third by borofan) looms in the semifinals. Ours pinned Lautzenheiser in a regional dual match last month. Top-ranked Christian Wayt from West Branch is on the top half of the bracket. Ours and Wayt did not meet during the season. McComas is no stranger to the big stage, as he has taken home state runner-up finishes the past two seasons at 106 and 113 pounds. McComas has battled through injuries during the season and hopes he can peak just in time for this weekend. The 126-pound bracket is considered to be wide open, with the third-seeded McComas taking on second-seeded Chris Kelly from St. Paris Graham Local in the first round. Projected state champ Peyten Kellar from Vincent Warren is on the other side of the bracket. Lasure is another veteran of the state tournament, with a seventh and a fourth place finish the past two seasons. The second-seeded Lasure will get his weekend started against third-seeded Brody Conley (47-5) from Tiffin Columbian. Up next is a potential second round matchup with Bellefontaine’s Jordan Crace, who is 35-0 and the projected state champion. After narrowly missing the state tournament last season. Krulik broke through with a third-place finish at last week’s Heath district tournament. Krulik opens up with against Sam Price (27-4) from Monroe. Top contenders Jax Leonard from Louisville and Anthony Rice from Steubenville are on the other side of the bracket. Smith has served as a cornerstone of the Beaver wrestling program during his career and will be making his fourth straight trip to Columbus. 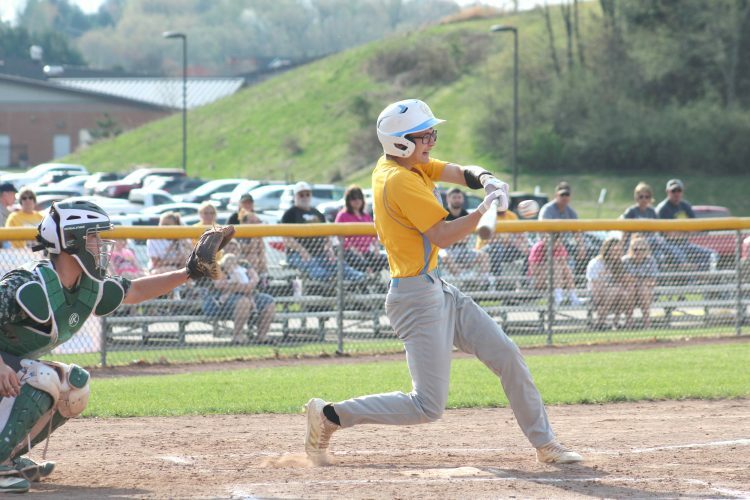 He enters the state tournament as the school’s all-time wins leader with a record of 164-46 and has OVAC and EOWL titles to his credit this season. Smith earned his way onto the podium with a fourth-place finish last season and will look to close his career on a high note in a wide-open bracket. He has a stiff challenge right off the bat with top-seeded Xavier Torres (47-5) from Wauseon. Givens’ season got off to a late start with him competing in the Blue-Grey All-American football game in Dallas, but he has shown steady progression according to Beaver Local coach Jordan Williams and will look to put it all together this weekend. Givens, who will play football at Wheeling Jesuit in the fall, will open with second-seeded Alec Maloney (45-6) from Norwalk. Both East Liverpool’s Skylor Wooley and projected favorite Tyler Stein (an Ohio State recruit and defending state champ) are on his side of the bracket and could loom as potential semifinal opponents. At 230 pounds, Wirth is small for a heavyweight, but he nonetheless broke through to Columbus with a third-place finish last week at Heath. He enters this week with OVAC and EOWL runner-up finishes to his credit as well as a Buckeye 8 and sectional title. With will open against second-seeded Lane Cluff (48-3) from Hillsboro. Looming potentially in the second round is Girard’s Jack DelGarbino (25-0) who the defending state champ and the heavy favorite to repeat. Wooley earned the first state berth of his career by placing second at the Div. II Heath district. Wooley, ranked just outside of the top dozen in the InterMat and Boro Fan Almanac ratings, has a winnable first round assignment in Kenton junior Noah Eikenbary (32-3) who has had mixed results this season. The bad news for Wooley is the Heath district is ranked the weakest by the two prediction publications and if Wooley should win his opener he’ll be likely paired with defending Div. II 220-pound state champion Tyler Stein of Canfield. Stein, a senior, is 41-2 this season and will be attending Ohio State University in the fall where he will be a member of the Buckeye wrestling team. Heimstra said Wooley is healthy and has been putting in the work needed to compete at state. “He’s gaining confidence and if he gets past Eikenbary, I think he’ll be all right,” Heimstra said.